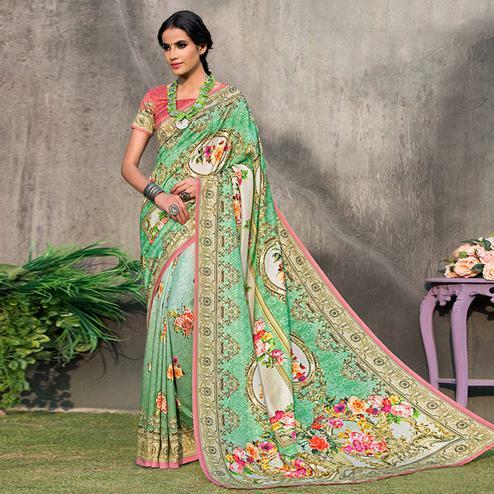 Get this green saree to look simple and classy on your outings and social meetings. 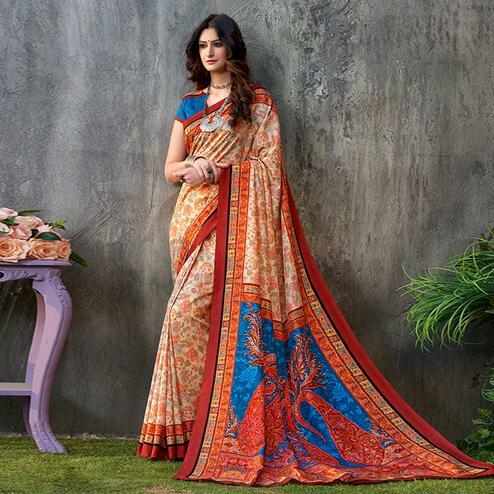 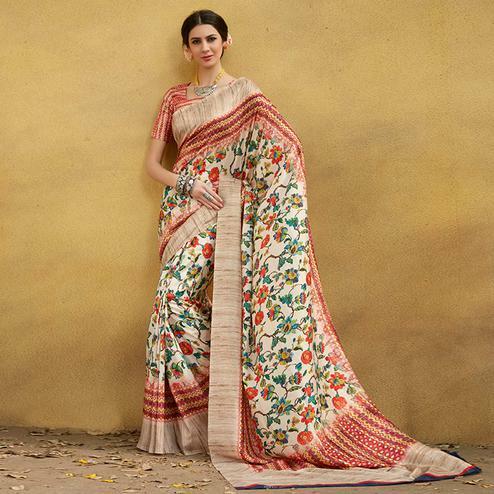 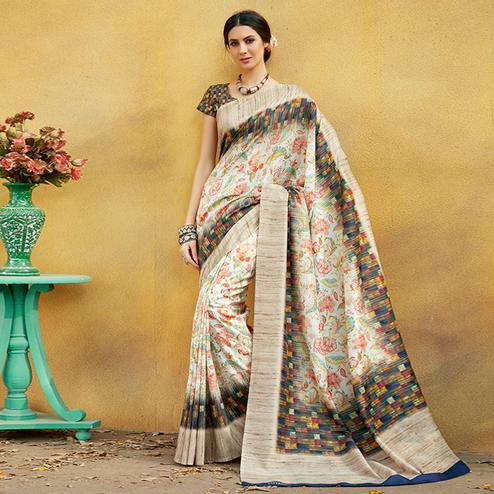 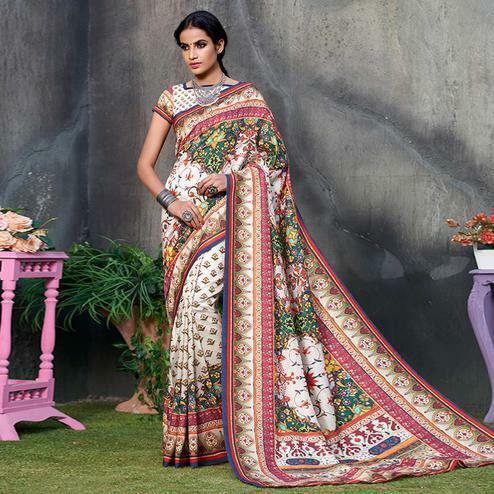 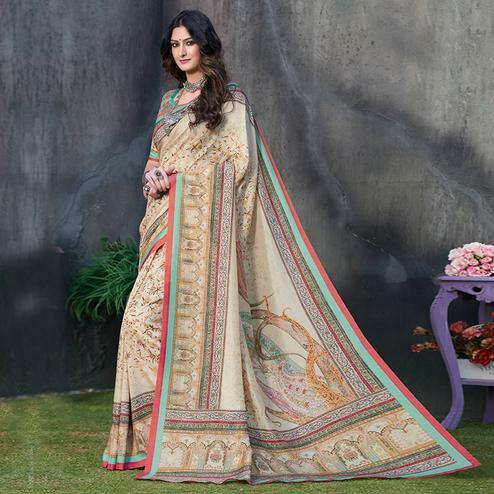 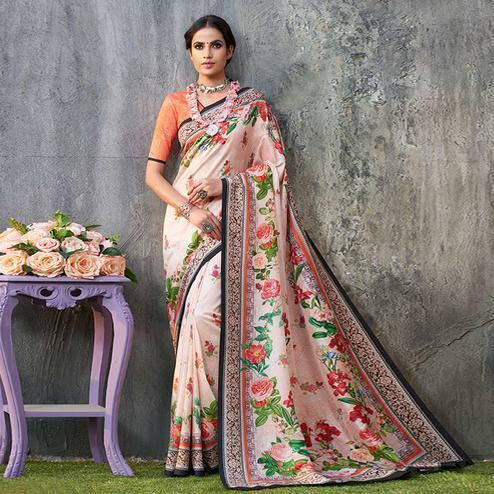 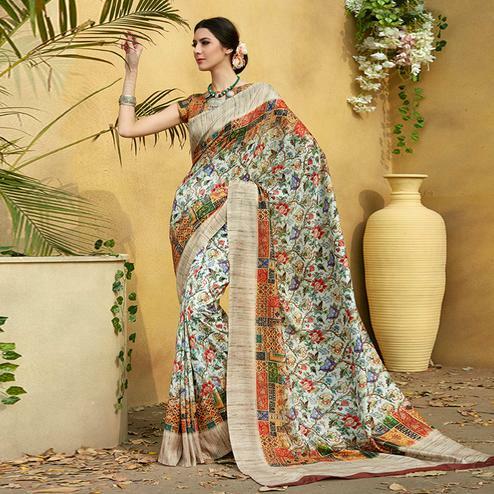 This saree has got paisley floral motifs at body multicolored various design prints at lower part yellow and red color solid panel at border as shown. 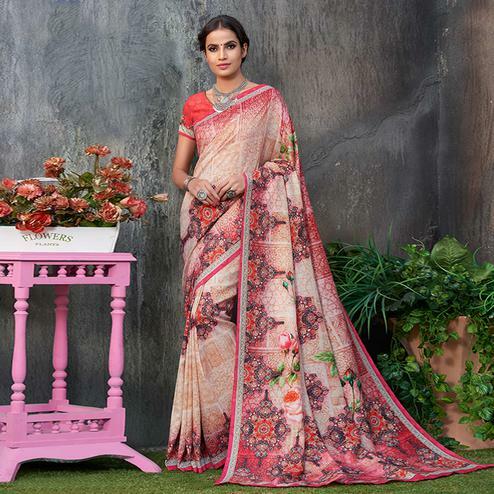 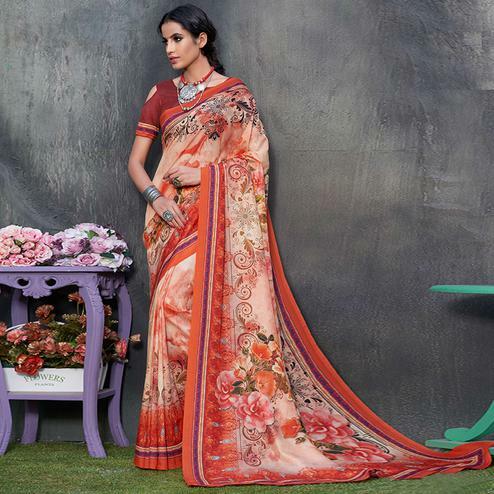 Saree paired with brown paisley and floral design printed blouse piece with matching border. 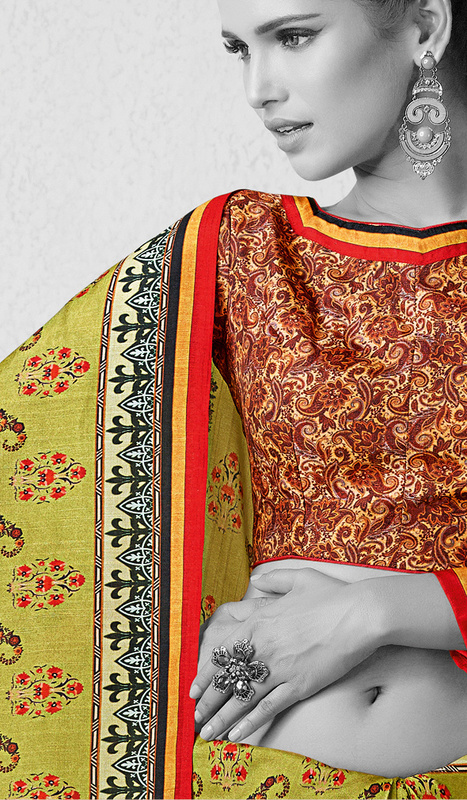 Grab this lovely attire now.